You may already know of Rod Parsley – as a TV host, evangelist, educator, humanitarian and statesman. At WHC, you’ll come to know him simply as Pastor – in many ways an ordinary guy whose earthly success is directly linked to his willingness to be used by God in extraordinary ways. 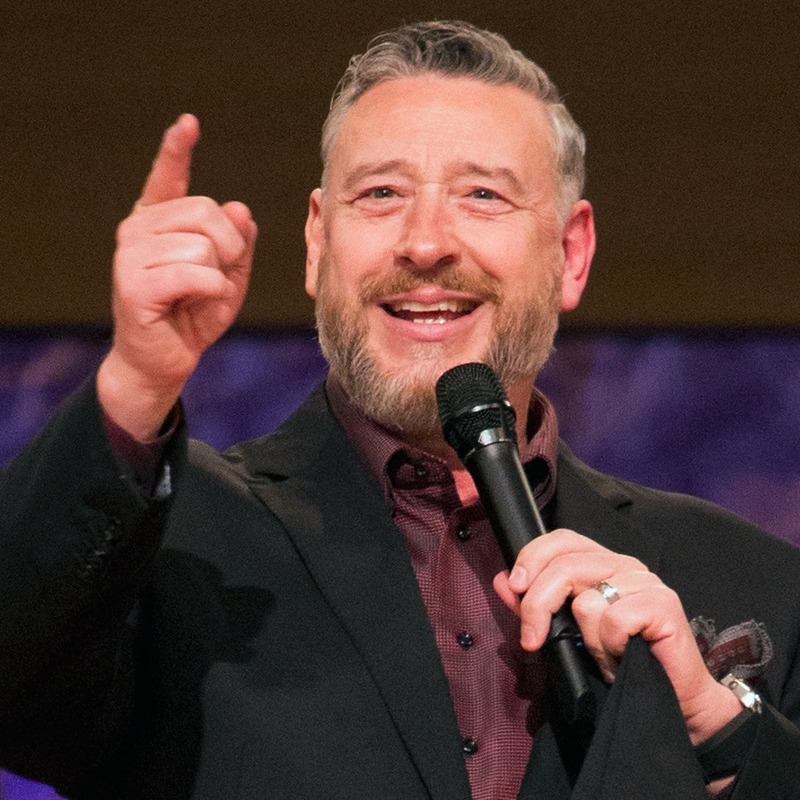 Rod Parsley was 19 when he first led a Bible study in his parents’ backyard. In more than 40 years since then, he’s built one of the most important and far-reaching Christian ministries in the United States. He has founded and now leads several major outreaches with local, national and worldwide reaches. This New York Times best-selling author has successfully advocated for federal legislation, delivered hundreds of millions of pounds of food and medical supplies to poverty-stricken areas of the world and changed the lives of thousands who will shape the cultural landscape in the next generation. He’s in constant demand to preach the Gospel in pulpits across America and around the world, and to comment publicly on the moral issues of our day. If none of those opportunities had ever presented themselves, though, he’d still be Pastor Parsley, sharing God’s Word with central Ohioans and helping them know God as he does. Bridge of Hope, a worldwide missions organization. Bridge of Hope has helped to free more than 31,000 Sudanese Christian slaves since 1999 and has provided millions of pounds of food, medical supplies and emergency relief around the world. Most recently, Bridge of Hope provided extensive relief to victims of the recent devastating floods and tornadoes in the southeast and midwest regions of the United States as well as supplying valuable medical equipment and medicine to help fight the Ebola crisis in Western Africa. The Center for Moral Clarity (CMC), a non-partisan Christian grassroots organization advocating for issues of life, faith, marriage, family, religious liberties, social justice and citizenship from a biblical perspective. CMC provides the platform for Pastor Parsley’s involvement in the public arena. Breakthrough, a Christian television program shown around the world twice a day, six days a week, and on demand at www.rodparsley.com. The Women’s Clinic of Columbus, a pro-life clinic dedicated to providing medical, educational and support services to women experiencing unplanned pregnancies and their families. World Harvest Ministerial Alliance, a worldwide network of pastors and other ministers who consider Rod Parsley their pastor and mentor. Valor Christian College formerly known as World Harvest Bible College, a secondary-education institution offering associate of applied science degrees to aspiring ministers. Students from across the nation and around the world come to Valor for their academic and spiritual preparation for full-time Christian ministry. Valor also now offers numerous classes online. An important recent event that happened in 2014 is that VCC received Title IV funding to receive Federal financial aid for its students. Harvest Preparatory School, a K-12 educational facility in Columbus. Pastor Parsley is the author of more than 50 books and study guides. They include: Still Silent No More, a manifesto for the “values voter” movement, Divine Encounter, the prophetic meaning behind celestial events and seasons and his newest book, The Finale… One World… One Ruler… One Reign…, mysteries of the Book of Revelation explained, released in the spring of 2017. He holds a bachelor’s degree from Ohio Christian University in Circleville, Ohio, and a doctorate from Liberty University in Lynchburg, Va. He and his wife, Joni, are the parents of two young adult children, Ashton and Austin. You can follow Pastor Parsley on Twitter here, connect with Pastor Parsley on Facebook here, and connect with Pastor Parsley on Instagram here. You can also click here to follow Joni Parsley on Twitter. If you would like to invite Pastor Parsley to speak at your church or event, fill out the Speaking Engagement Request Form.